Local counselling and social work capacity in Nauru is being enhanced through the Pacific Community Health and Wellbeing Education project. Five women and one man undertaking a Diploma in Community Health and Wellbeing say the course is ‘vital’ and ‘supportive’ in the way they work with their clients. With only 10,000 people, speaking out about violence can be extremely challenging due to the lack of anonymity. The diploma course has been designed in response to these recurring issues of violence against women and gender inequality issues. 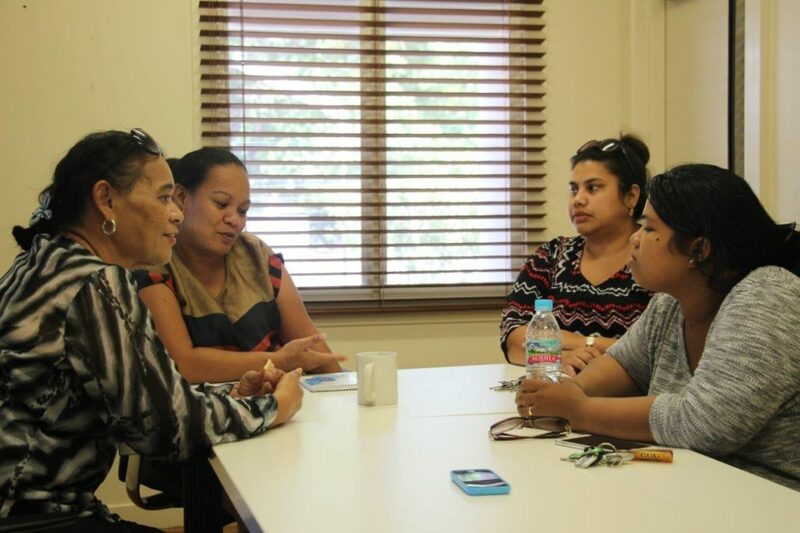 The University of New England worked with local stakeholders to develop a Pacific-focused diploma program to build skills and strengthen services in counselling. A sample of the units of study include professional communication practice, children and young people at risk, managing clients with complex needs, health promotion in practice, Pacific recovery: issues around family violence and Pacific child and adolescent counselling. The course is delivered through a combination of intensive face-to-face on-island academic support and online classes. This means that students can stay in Nauru and continue to perform their jobs, while they complete the diploma. *This Story of Change was originally published in the Pacific Women Annual Progress Report 2016 – 2017. All values are consistent with that reporting period. For the most up-to-date value of activities, visit our interactive map.